The Baisakhi is here, Cuckoos are singing to tell us, Baisakhi has come, the air carries the aroma of fresh grain and it is time to celebrate. This roughly translated Baisakhi song narrates the beauty of harvest festival. Baisakhi is harvest festival of Punjab. Around the same time, many harvest festivals are celebrated throughout India. Pongal, Bihu, Lohri, Khichdi, Makar Sankranti, the names are many but the significance is one — to thank the universe for a bountiful harvest. People in India who are already extremely enthusiastic about festivals, celebrate harvest festivals with unusual joy and enthusiasm. They have worked hard to see this day, and nature has been kind enough to help them throughout, now finally it has all come to fruition. Although India has two major harvest seasons, Kharif (harvest in October) and Rabi (harvest in January or February), most regions celebrate the Rabi harvest with more zest. The reason is that Rabi harvest festivals also mark the significant changes in the weather due to major changes in position of sun. Indian calender is a solar calendar and this changed position of sun marks various atmospheric changes and have religious significance too. Bihu: Every year in January, the state of Assam delights in celebrating Bhogali Bihu. The farmers of Assam celebrate and cherish the efforts of cultivation and the benefits reaped. The celebration starts one night before with Uruka—the community feast. On the day of Bihu, the mejis or pavilion made of clay and hay are burnt. Local women wear stunning mukhlas and participate in group songs and dances together. Makar Sankranti: is one of the major Indian harvest festivals celebrated with different names and in innumerable ways in different cultures. The festival of Makar Sankranti is most auspicious for Hindus and many take a dip in holy places like Ganga Sagar and Prayag. A major kite festival also held at this day in Gujarat. In Maharashtra, people visit each other’s houses to distribute sweetmeats in order to revive the bonds. Nuakhai: Nuakhai is an age old harvest celebration in Odisha. Locally ‘nua’ means new and ‘khai’ means food. This is not only a popular harvest festival in India, but also celebrated to appreciate the passing away of the past and evil days while welcoming the new and beautiful with open arms. The festival is also known as Nuakhai Parab or Nuakhai Bhetghat. Pongal: It is another name for Makar Sankranti, which is celebrated during the same time in across Tamil Nadu. This is a thanksgiving celebration where people express their deep gratitude to mother nature for the produce of the year. This is one of the most colourful harvest festivals of India celebrated for 4 days .Many families hold reunions on this day. Brothers pay special tribute to their married sisters by giving gifts as affirmations of their filial love. Landlords present gifts of food, clothes and money to their tenants. Villagers visit relatives and friends. Wangla: Wangala is the merriment of a hundred drums played by Garo tribes of northeast India. This is one of the popular harvest festivals of India marking the onset of winter. During this festival, the Sun God is worshiped with devotion and zeal. Women wear their traditional colourful clothes and dance while men rhythmically drum their fingers on the traditional drum pads. Though these festivals are celebrated on different times and in different ways, a few things are common to them. The spirit and zeal of harvest festivals lies in the fact that most of these are community festivals. They can’t be celebrated in isolation. An essence of the festival lies in the communitarian feeling. People come together, crowdsource sweets and delicacies, sing, dance and make merry. Even if it is for one day, harvest festivals remove the strict social boundaries build around religion, caste and class. The hierarchy of power, position and status become irrelevant. Harvest festivals of India teach us lot about networking and making social connect. In the urban area where these harvest festivals are just celebrated as a ritualistic compulsion, partly because it has little relevance to the urban population. In the world of today, harvest festivals also uphold socialising in traditional ways. You visit, talk, share concerns, and happiness. While we have forgotten the real significance of harvest festivals, especially in urban areas, the new age process of crowdfunding seems to have revise the spirit of India’s harvest festivals. 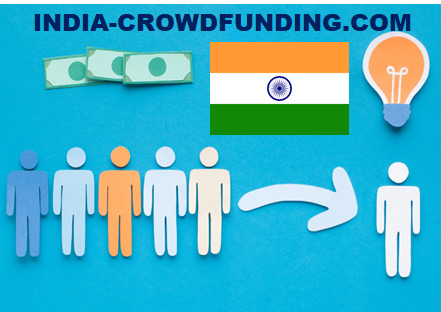 Crowdfunding too, is about social networking and revival of old relations, building new ones. Fundraising in India is all about relationships. The harvest season is about to come. Let us realise that it is not only the time of harvesting food grains, but also the time to garner the human potential to make connect with peers. Let us harvest the strong relationships and kindness, this harvest season. Try to fundraise for your friend, family member or domestic help, if they are in need for donations. Here are some fundraising ideas for you to revive old relationships by lending a hand in the time of need. Start a fundraiser to celebrate harvest festivals with old spirit but new ideas. Next article How immigration attorney can help you?